Raised in Berkeley, California, Nic. began his musical education with piano lessons at age 9. While still a student at Berkeley High School, Nic. was teaching and playing professionally. After high school Nic. accepted a scholarship to The Juilliard School, majoring in performance and composition. Between his studies and performing professionally in both jazz and classical settings, Nic. Was also the recipient of the prestigious Lincoln Center Award. Upon returning to California, Nic. began working as a studio musician, performing with a diverse range of artists including Santana, Gladys Knight, Pointer Sisters, Herbie Hancock, Frank Sinatra, Sammy Davis Jr., the Jacksons, Patti LaBelle, O’Jays, Tom Jones, Cher and the San Francisco Symphony. As a composer, Nic. has created scores for feature film, network television, and documentary films. His most recent film scores include "The Amateurs" starring Jeff Bridges, Ted Danson and Joe Pantoliano; and "The Dukes" starring Chazz Palminteri, Robert Davi and Peter Bogdanovich, as well as "Remembering Phil" starring Nick Turturro. Nic. has also composed works for the Kronos String Quartet, Turtle Island String Quartet, Metropol Orchestra and a full-length ballet based on Lewis Carroll’s “Through the Looking Glass”. As a producer and arranger, Nic. has worked with such artists as jazz singer Nancy Wilson, Bobby McFerrin, Les McCann, and Warner Bros. artists Reel Big Fish. Nic. and producer Alan Abrahams are currently completing the upcoming Les McCann Christmas album. In between his film and television projects, Nic. has been collaborating with Grammy award winning producer Val Garay, writing and producing for a variety of recording artists and record labels. Currently they are producing tracks for Sony artist IsLove. Nic. 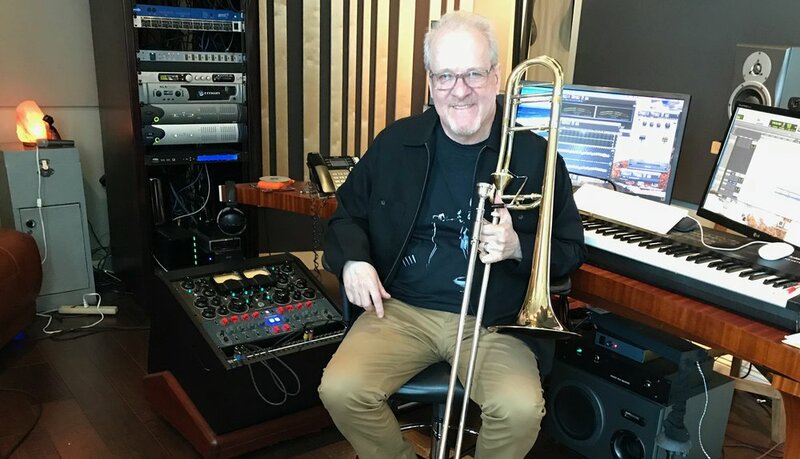 mentioned, "I recently took possession of the new RS Berkeley TB705 convertible trombone. The fit and finish are beautiful, Thayer valve very free blowing, the slide is good right out of the gate, and the whole horn just feels “right”. If you have to have just one trombone, this is the way to go. Put a 6/12 AL in and it’s really a tenor, put in A 2G and it’s a great commercial bass. The three included lead pipes give you lots of options. A lot of people have been having trouble with F attachments and flying, with horns getting damaged. With this you can simply remove the Valve section and put in in your back pack. All in all a really well thought out package." Visit Nic's official RS Berkeley artist page at www.rsberkeley.com/nic-tenbroek.